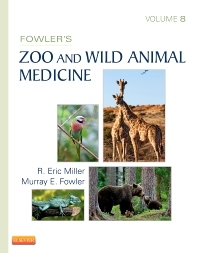 Logically organized by taxonomic groups, this up-to-date text covers the diagnosis and treatment of all zoo animal species and free-ranging wildlife, including amphibians, reptiles, birds, mammals, and fish, unlikely to be seen by private practice veterinarians. Featuring full-color images, the consistent, user-friendly format supplies information on each animal’s biology, unique anatomy, special physiology, reproduction, restraint and handling, housing requirements, nutrition and feeding, surgery and anesthesia, diagnostics, therapeutics, and diseases. Global authorship includes multinational contributors who offer expert information on different species from around the world. "Veterinary care of non-traditional species is a rapidly progressing field and this title is the much awaited updated version of this zoo and wildlife practitioner’s ‘bible’. Global authorship includes internationally recognized authors who have contributed new chapters focusing on the latest research and clinical management of captive and free-ranging wild animals from around the world.